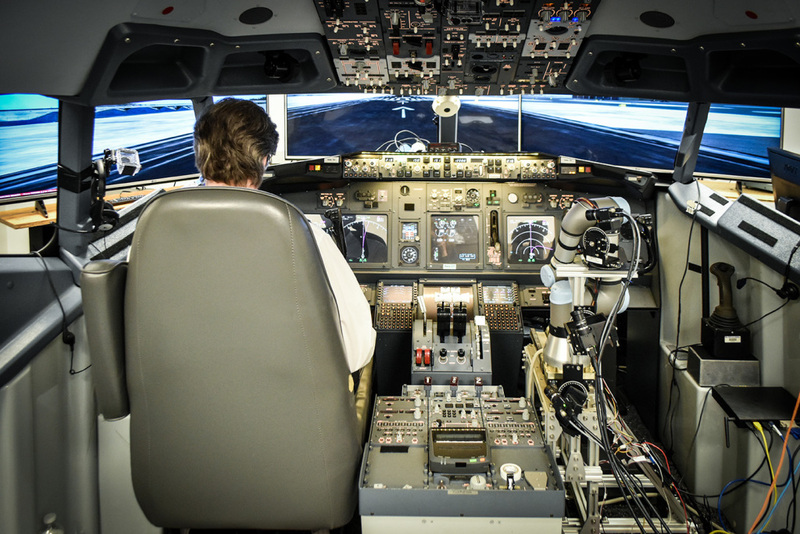 This robotic copilot flew and landed a Boeing 737. Sort of. People can get tired, stressed, or drunk. Robots? Not so much. So although it might be a bit weird, the idea of having a robot piloting a plane makes a bit of sense. At least, that’s the idea behind Aurora Flight Sciences‘ Aircrew Labor In-Crew Automation System, or ALIAS for those who hate long, bulky, buzzword-heavy monikers. Aurora’s ALIAS, a project developed for DARPA, is meant to show that a robot can safely fly airplanes, at least as the copilot in a two-crew aircraft. That is meant to reduce the number of human pilots required to keep a fleet in the air, while at the same time “ensuring that aircraft performance and mission success are maintained or improved,” Aurora wrote in a release today about a new test in which ALIAS was able to fly and land a simulated Boeing 737. But, given that the robot has been used to fly several real planes, including a Cessna 208 Caravan and a DHC-2 Beaver, you can see where this may be heading long-term. The question is: How will people react when their pilot welcomes them aboard in a tinny, robotic voice?